Google Play, iOS App Store, Windows Store or the Chrome OS Web Store? The world of mobile computing continues to evolve, and with it the apps that you run on your system. There are really four main players today: Android, iOS, Windows and Chrome OS. All of these are great platforms, but which app store is the best? That is a huge question that has been asked more times than I can count, and the answer keeps changing depending on when we talk about it and who is asking the question. Today, we will look at each app store briefly and give you the rundown of what’s good, and what’s bad. The hope is I can help you answer the question for yourself. 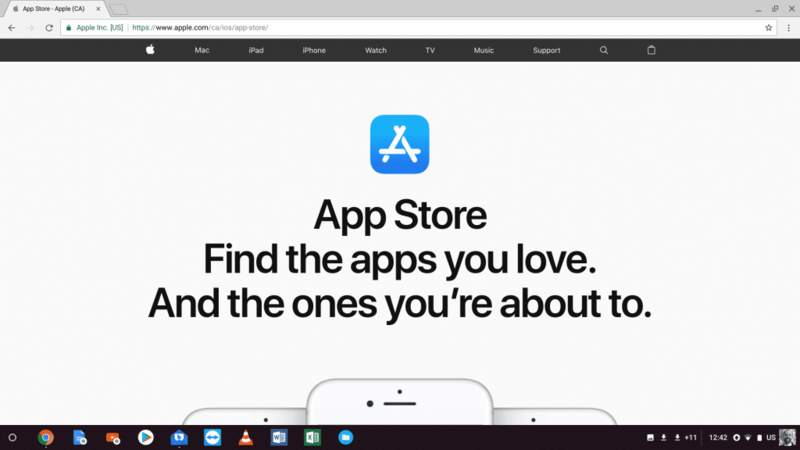 If I’m right, by the end of this post you will know which app store is the best, for you. Google’s Play Store for Android has more apps than any other app store out there today, After all, the name of the game for Android is choice. You can choose from a huge variety of tablets and smartphones, and you can customize these devices with the apps you find on Google Play. On top of that, you can even find apps from other locations. However, this freedom and control come with a price. Due to the low barrier for entry into the store and the fact that you can get apps from almost anywhere, quality and security are a big issue. There’s a good chance that you will find apps that are, quite frankly, crap. These useless apps don’t work as advertised or slow down your device in a ridiculous way. On top of that, there are many security concerns with malware when downloading apps from other sources that aren’t that reputable. Still, with added freedom comes more responsibility. But for some users out there, this extra bit of work may not be worth it. This is where it all began. Before Apple created the App Store, no one even knew what the word app meant. Today, things are different. Of course, as always, Apple does things a little differently. Apple doesn’t have dozens and dozens of devices that it loads iOS onto. In fact, iOS is limited to iPads, iPhones, and iPods. Apple also exercises far more control over its store and what can and can’t be included on it. 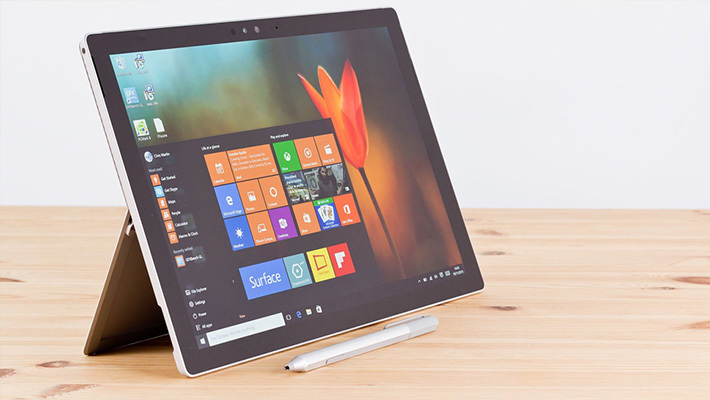 It’s no secret that Microsoft was rather late to the tablet party, but beginning with Windows 8, Microsoft has worked hard to catch up with their Surface line of devices. As such, the Windows Store still, to this day, is in an almost constant state of catch up. 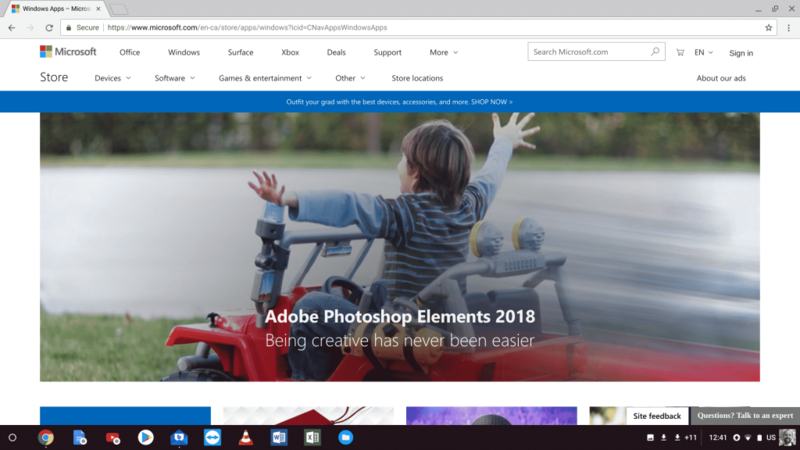 In recent years Microsoft has worked hard to coax developers into bringing their apps into the world Windows Universal apps. They have had some success, but not nearly as much as I’m sure they hoped. That being said, there are a great deal of apps available on the Windows Store, and all of these apps will work on any device that runs Windows 10 today. However, there are no where near as many as you will find on both the App Store or Google Play. This is really true when you look at the games. There are many more mobile games available on the other platforms than there are on Windows. Still, approval here is somewhere in between Android and iOS, so while there is some crap out there, you won’t find quite as much. In the end, this is a great option for lovers of Microsoft products and anyone that really only wants to learn how to run one type of operating system. In the past, you wouldn’t even find this store included in these lists. The reason? Chrome OS was more of a niche operating system and not even a viable tablet option. But, it’s 2018 and times have changed. Google has doubled down on the operating system and today we are seeing more and more hybrids and tablets being released powered by this operating system. 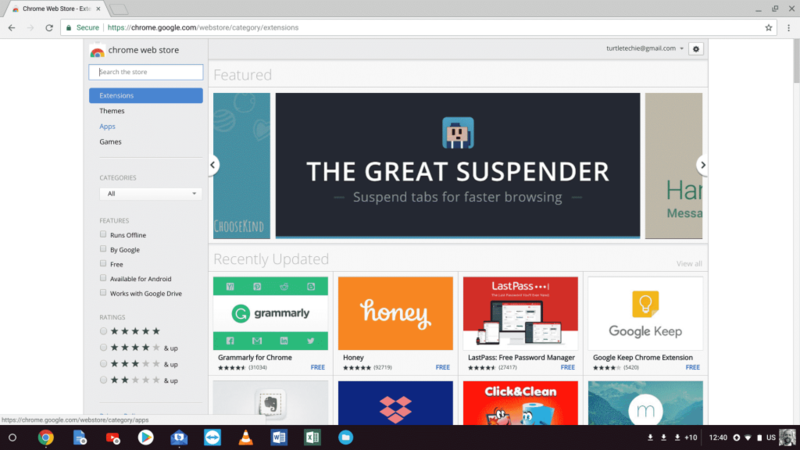 So, we must talk about the Chrome OS Web Store. This store contains enhancements and apps designed to run in the Chrome browser. That means that even if they look like a stand alone app, they are really just running in Chrome. There are a lot of good choices out there on the store, but nowhere close to all the others. In some cases, the apps you love just aren’t there, and in other cases they are stripped down versions designed to run in Chrome. 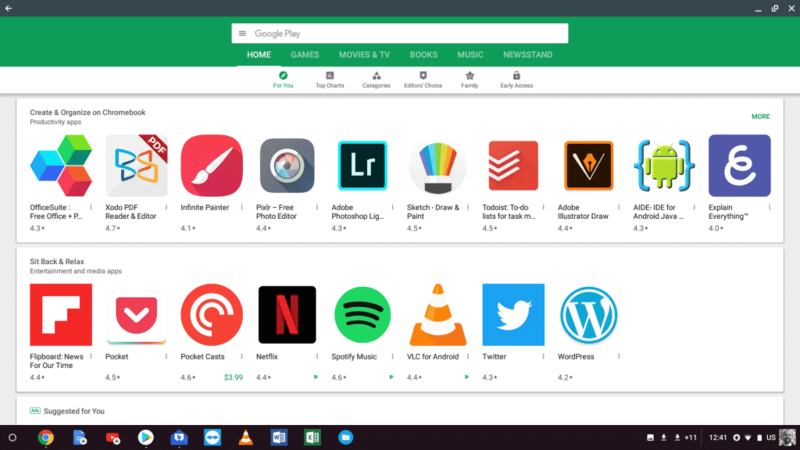 The fact is that if you want to use Chrome OS on a tablet, you will probably install a few things from there, but in most cases you will just use the Play Store for your favorite mobile app. So which app store is the best for your tablet? The answer is, it’s up to you. I know that sounds like a cop out. But hear me out. 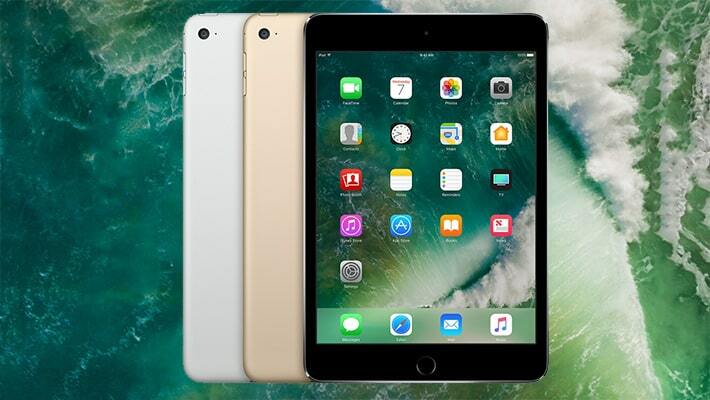 For some, you will love the ability to customize your system and try different types of apps that really change your tablet operating system. You will be okay with going through the bad apps to find the good ones. In fact, that’s part of the fun. 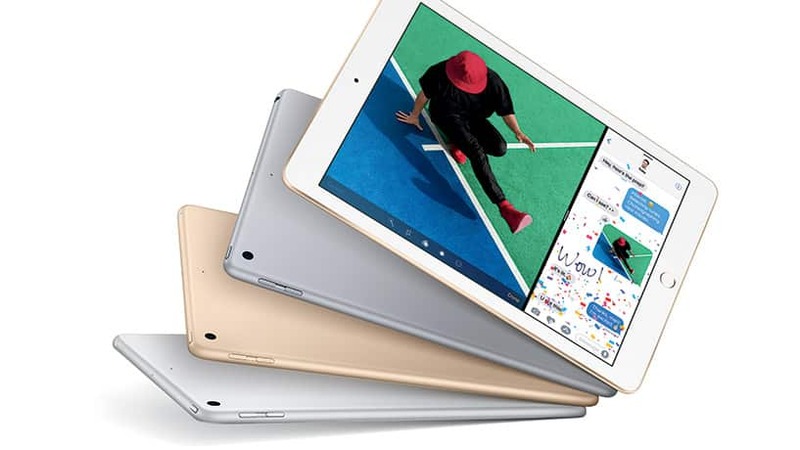 Others will prefer the closed system that Apple brings to the tablet, preferring something that just works and not something you have to tinker with in order to use it. Still others won’t care about limitations as long as you don’t have to learn different operating systems. As you can see, which app store is the best is really subjective, and can’t really be solved with a simple article. Which app store do you prefer to use and why do you think it’s superior to the others? Tell me your thoughts and opinions in the comments below. Just be nice! I wonder if we should take a vote?